This is the second anniversary of this blog; so - time for a little retrospection. Below is an account of how we are faring, in "hit" terms and our most popular postings. This is followed by a cursory glance at some of the significant changes that have hit E7 since we started. 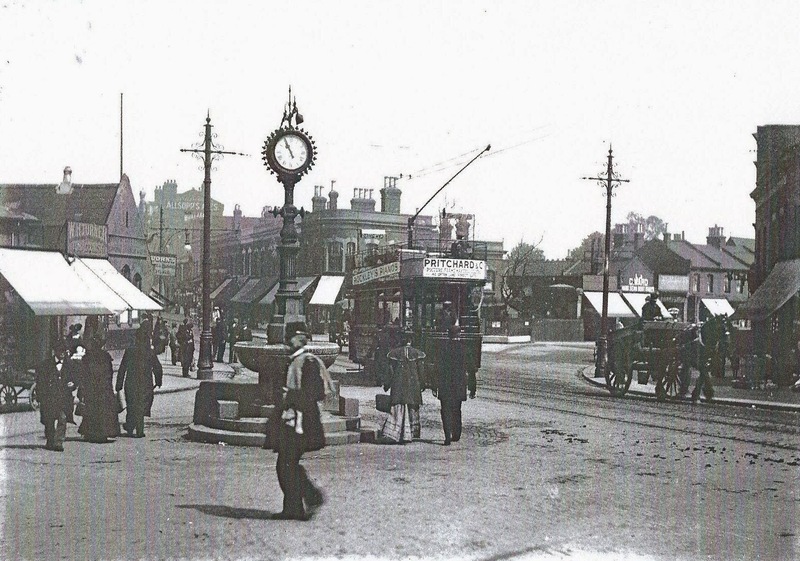 Feel free to comment, and join a conversation on the good, the bad and the indifferent of Forest Gate's recent past. 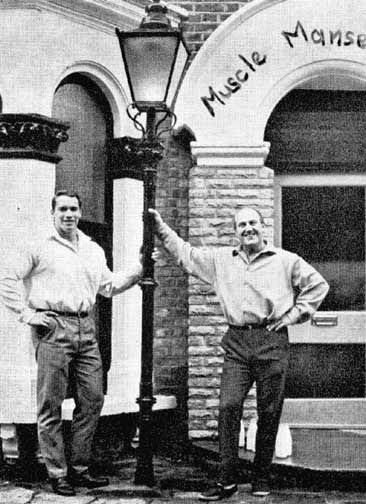 Fire Guts Famous Gym This blog's first post coincided with a fire at the former home of Wag Bennett, where Arnie Schwarzenegger lived in the mid 1960's while training to be Mr Universe. after a fire, two years ago. 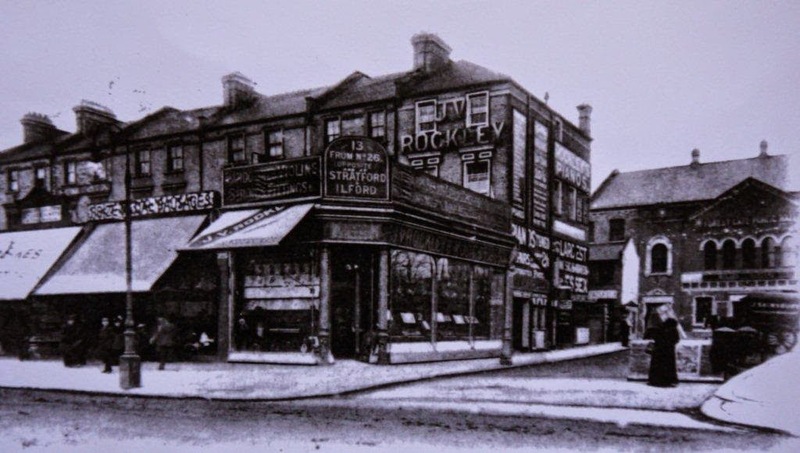 The Upper Cut Club, part 1 - the rise There is a plaque on an iron gate, next to Percy Ingle's on Woodgrange Road, denoting that on the site of the railway ventilation shaft behind the gate stood the Upper Cut Club. This was owned by Boxer Billy Walker and for one brief year, in the mid 1960's, showcased the very best in British and American popular music of the day. 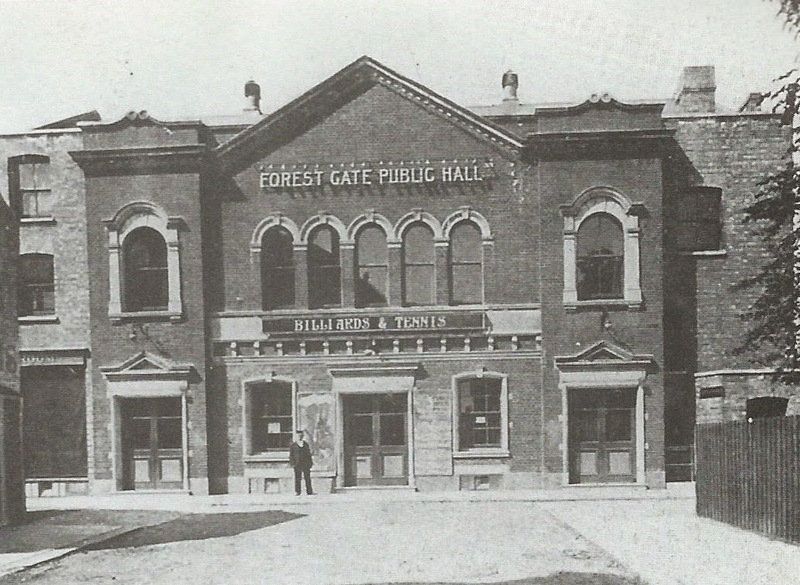 The Forest Gate Good (and not so) Pub Guide A look at Forest Gate's remaining pubs, from a drinker's standpoint, with full notes on some of the area's now-closed, former pubs. Christmas Day in the Forest Gate Workhouse In what is now a refurbed block of flats on Forest Lane is a building that has been a maternity hospital, but which was originally constructed in the mid 19th century as an Industrial School, for the children of workhouse inmates from East London. 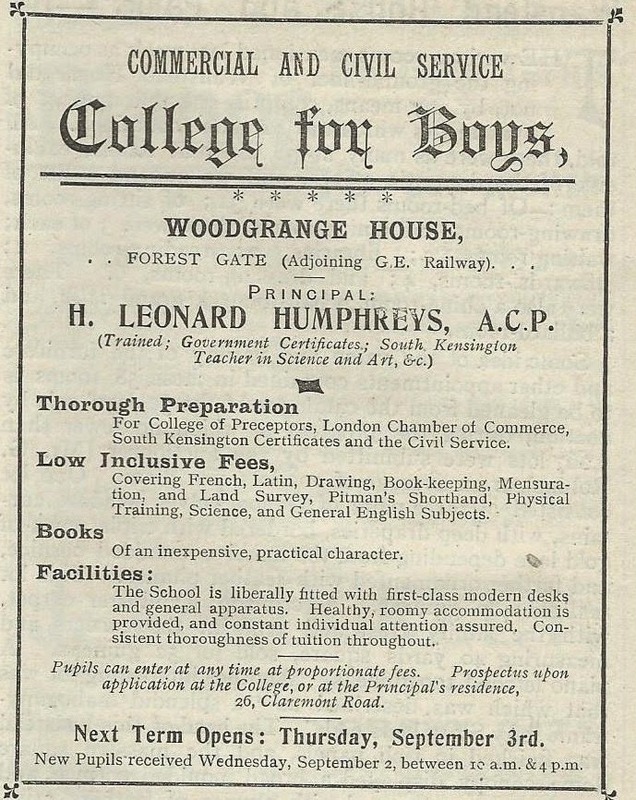 This is a contemporary press account of conditions in that Workhouse school in the mid 1890s. 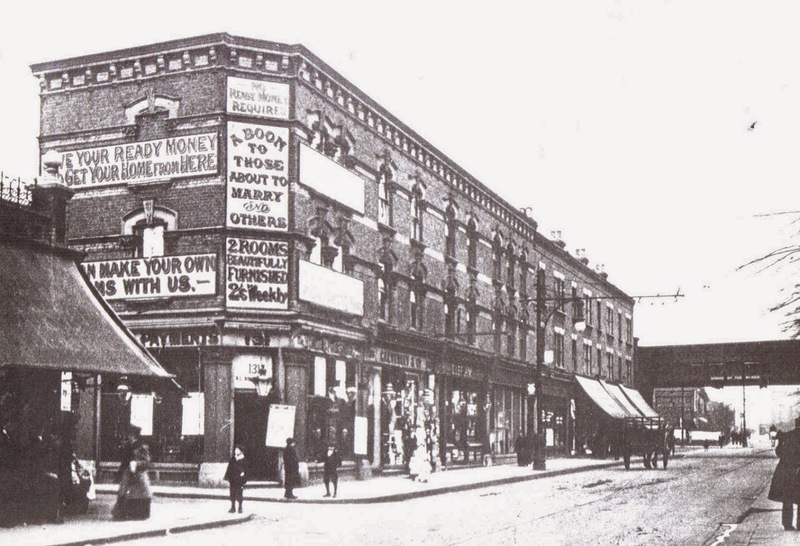 The Rise and Decline of Forest Gate's Jewish Community Forest Gate hosted a significant Jewish community from the 1890s until the Second World War. 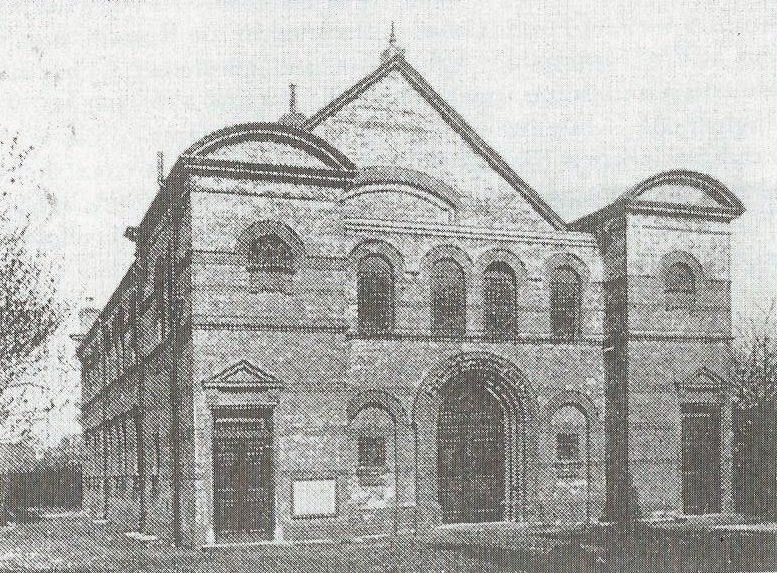 This post looks at the growth and decline of that community and particularly its Synagogue, which was for many years the largest in Essex. 24-hour Forest Gate Gourmet Trail An illustrated wander around six Forest Gate eateries, with a different meal/nibble at each. Delicious - follow the trail, and be ready to let out your belt a notch or two! good breakfast and coffee offer! 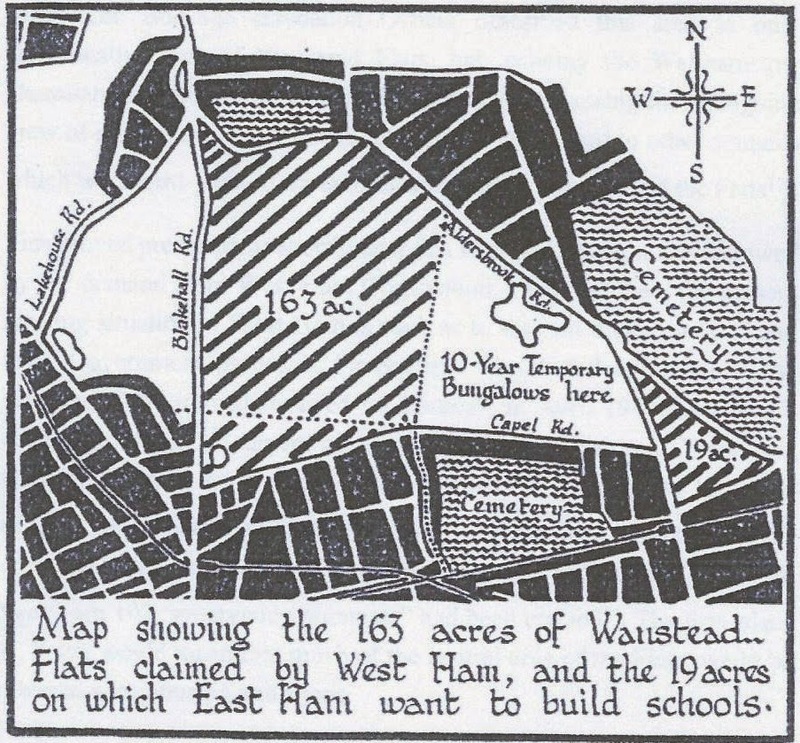 Fascists in 1930's Forest Gate Forest Gate hosted a thriving Fascist group in the 1930's, with a base close to Wanstead Flats. The British Union of Fascist held rallies on the Flats. Many rare photos included in this blog. 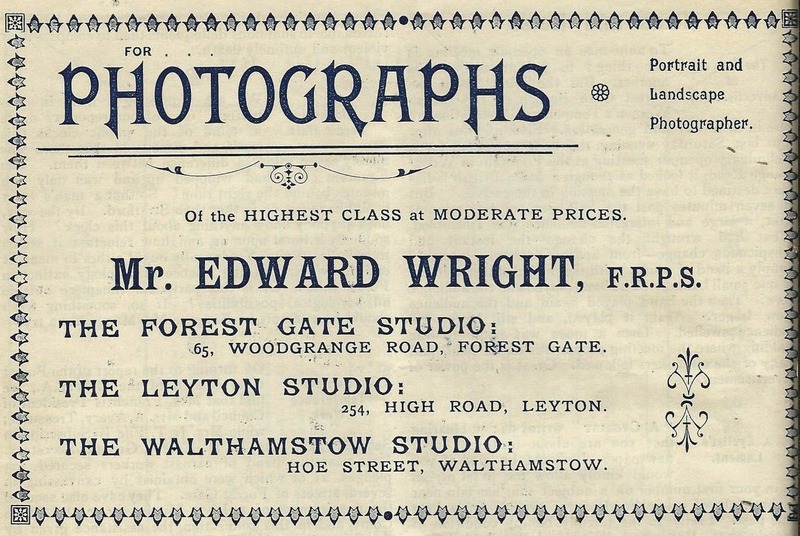 Forest Gate Industrial School Story This post gives a history of the Industrial School, mentioned above - from its origins, extending to its more recent post-school story. Tragic End to World War 1 Romance Local resident, Paul Holloway, has recently self-published There are No Flowers Here - a touching story of his Forest Gate grandmother's romance with local lad Jack Richardson. 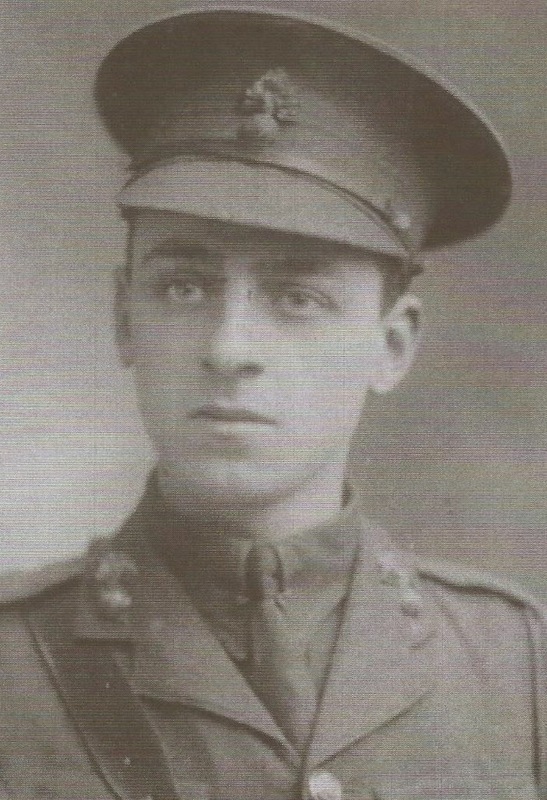 Two posts summarise the story, and its tragic end on the World War 1 battlefields. Wanstead Flats Saved from Post World War II Development Wanstead Flats had a busy part to play during the Second World War. 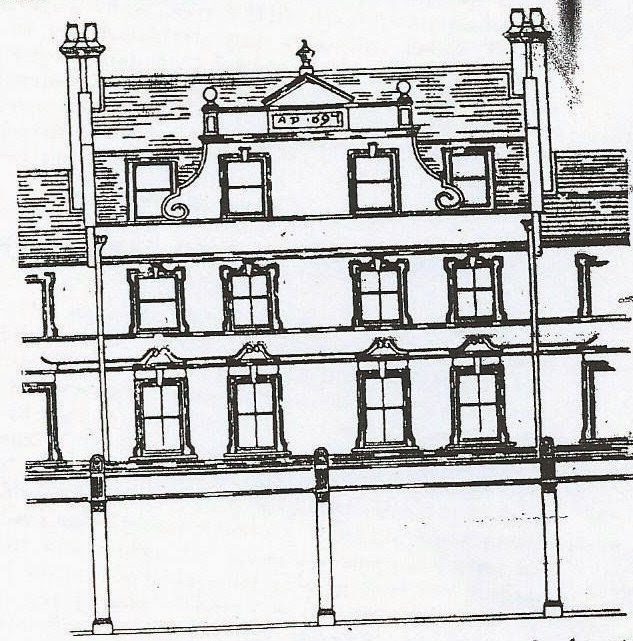 In its immediate aftermath there were plans for considerable housing construction there to accommodate East Enders bombed out during the conflict. This post examines the struggle. areas planned for the "land grab"
Clearly, there have been significant changes to the area in the short time that we have been running - most notably the continued "gentrification"/house-price-lunacy that has affected the area. Arm-in-arm with this has been an explosion of related social activities - most notably the massive improvement to the local food and drink offer. 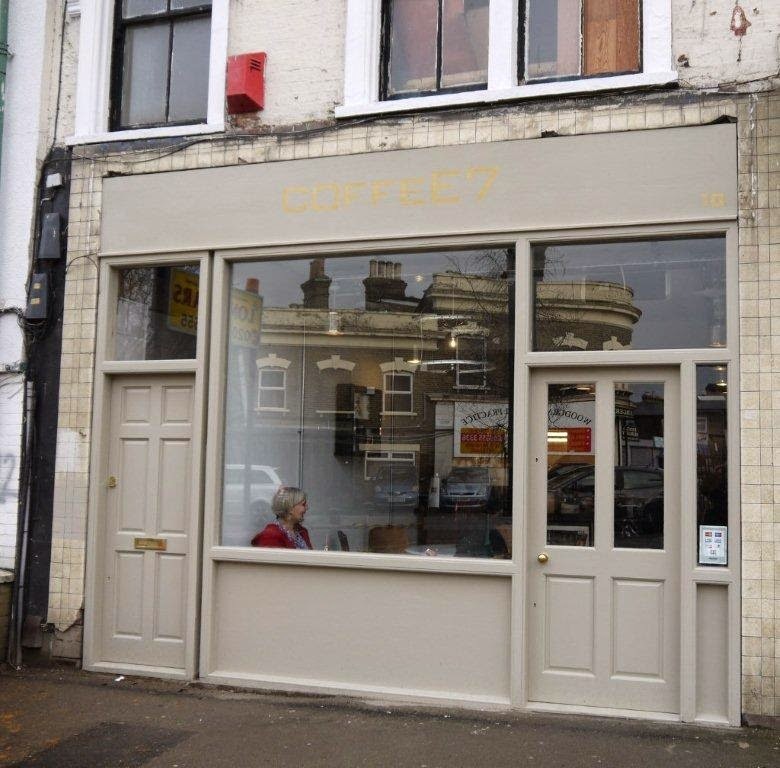 We've seen the opening of three independent coffee shops in a little over the two years (Kaffine, CoffeE7 and Compotes) and a serious upgrading of the local alcohol range, thru the new Forest Tavern, eclectic Wanstead Tap and the recently revamped and face-lifted Golden Fleece. The up-market food options are beginning to emerge, too. There are already good cheese, organic veg, bread and charcuterie stalls on Woodgrange market, together with regular tasty options and menus at the Tap, Tavern and CoffeE7, and a bit more initiative from Aromas, the best Indian eat-in/takeaway around. On the horizon are the eagerly awaited Pie Republic, on Upton Lane and the well-trailed Pyramid Pizza at the junction of Forest Lane and Woodgrange Road. One downside on the foodie angle is the imminent demise of the popular Siam Cafe on Woodgrange Road, closing this weekend, after a reported (and shocking) hike of 140% in the rent, come lease renewal time. 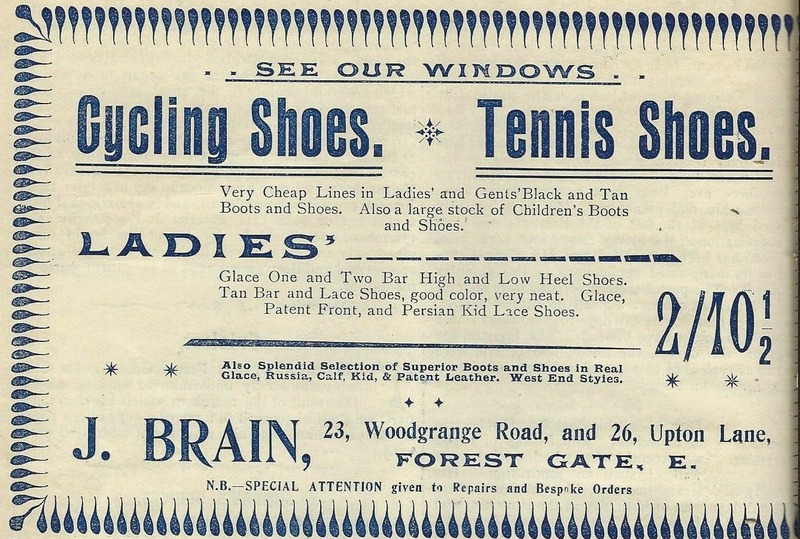 Brik-aBrak has gone upmarket too, with The Emporium, some interesting offers at Woodgrange Market and frequent pop-up "vintage fairs" in a variety of local venues. 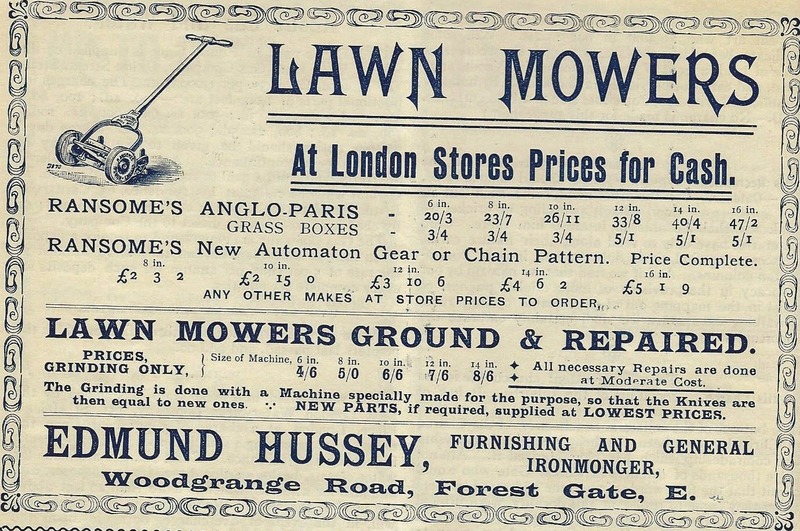 Environmental and related conservation issues are moving up the agenda apace, with the recently established (but yet to open) Community Garden on Earlham Grove and the frequent "Clean up Wanstead Flats" forays, so effectively run and supported. The Arts are beginning to assert themselves more vigorously, with live music regularly on show at the Tavern, the Tap and CoffeE7, and the emergence on an interesting Arts trail in the district. All of these initiatives are backed and their efforts re-enforced by the recently established, on-line E7 Magazine (www.E7magazine.com). The downsides are almost the flipsides of some of the above. With gentrification has come the pricing out of local young people from being able to afford to live independently in the area in which they were brought up - always a serious sign of social dysfunctionality (like the fate of the Siam Cafe - see above). 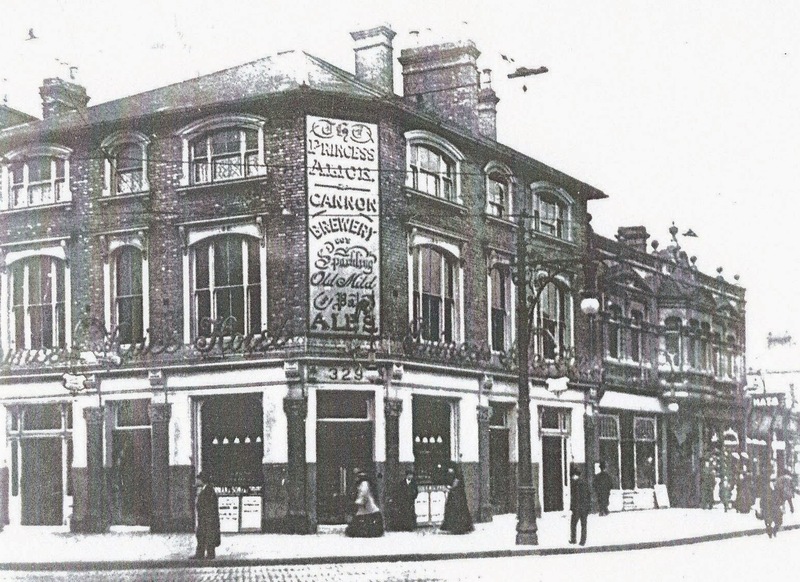 Some of the area's old boozers, notably the Live and Let Live (or in its case, Die) have gone under and some of our few local historic treasures (Old Spotted Dog, Wag Bennett's old gym) are being left to rot and decay under our eyes. But there is life in the Old Dog yet - in an odd kind of way - at least on the football terrace side of things. 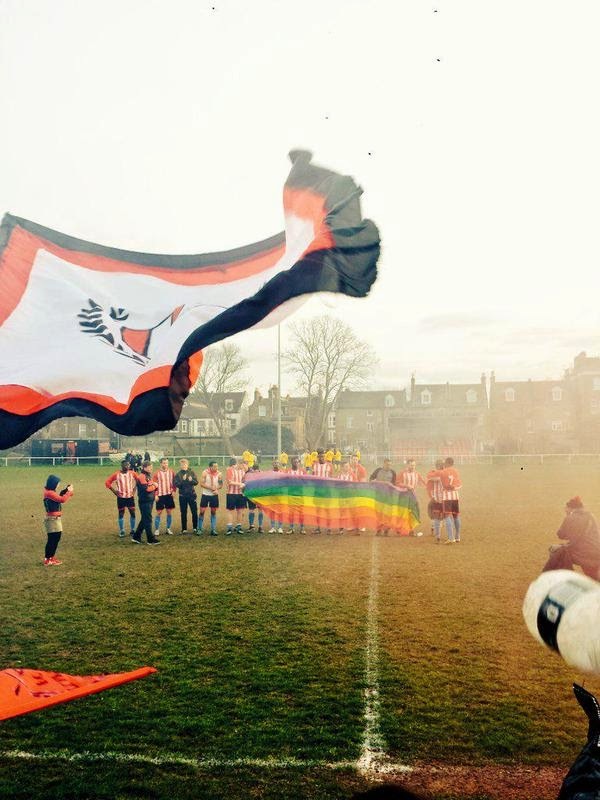 Clapton FC has been one of the true success stories on English non-league football over the last couple of season. Two years ago you could count the number of spectators at the Old Spotted Dog ground in the length of time it took to line up and take a corner kick (about 30 fans). In a recent match (on an international break, when major league football was not being played in the country) over 400 showed up. The "Tons" are widely regarded as having some of the best non-league support in the UK, lead by the dedicated Ultras (pyros, banners, chants and all). And now they have an appearance in their first cup final in years to look forward to on 2 May. Just such a shame that the club's owner seems to hostile and disinterested. Politically, E7 continues to be an all red patch in the one party state that is Newham. But the local councillors seem to be very effective within the extremely limited scope within which they are able to operate - particularly the three young women councillors in Forest Gate North and the more experienced Diane Walls in Forest Gate South. A shame that their efforts are clouded by the absurdity of the Mayor appointing a personal "Advisor on Forest Gate" - on a sinecure - who is not from among them. We'll return to this in a future post. 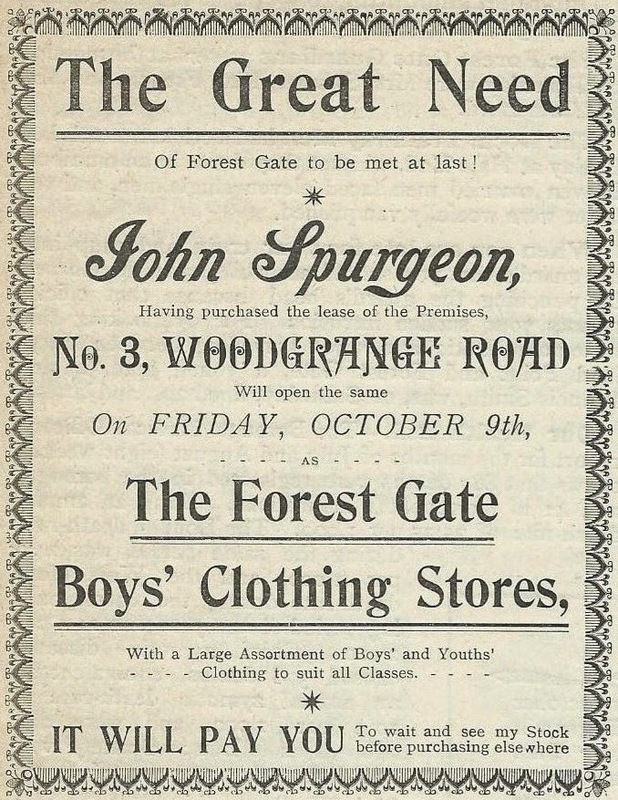 In summary, it would seem that overall, the Forest Gate's curate's egg is mainly good, but unpalatably expensive for the children of the last generation's inhabitants, and longer established eateries - which leaves a rather sour taste in the mouth, of an otherwise story of sweet success. (Ok - a strained metaphor too far. I'll get my coat). 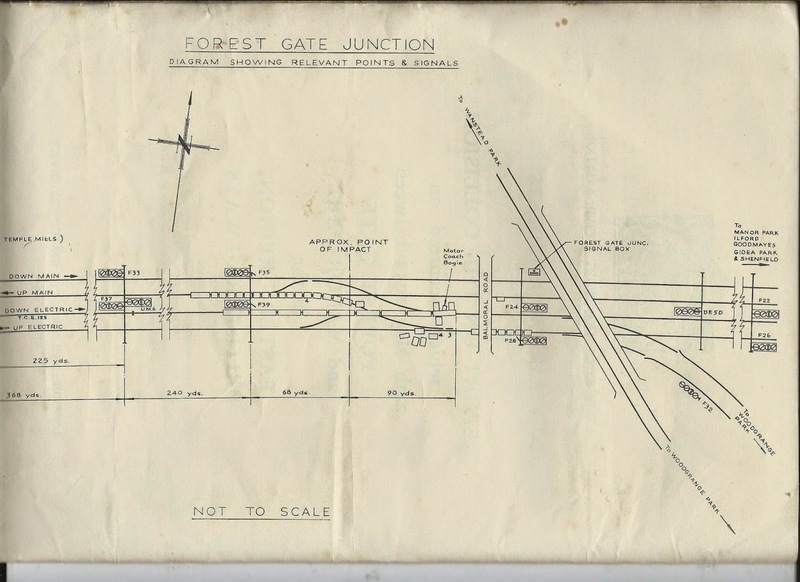 There were two train crashes in the Forest Gate area - one underground, one overground - within 7 weeks of each other, in the spring on 1953, with no apparent connection between them. This blog is posted on the 62nd anniversary of the first of them. That, which was the more serious, crash occurred on the Central Line, between Stratford and Leyton on the evening of 8 April. There were signal failures on the track, so train drivers were expected to proceed with caution on a cautious, "stop and proceed", basis. However, a train heading eastbound towards Epping ploughed into the back of a stationary train waiting in the tunnel between Stratford and Leyton just before 7pm, leaving twelve passengers dead and 46 injured. It was the worst crash on the London Underground in its history, until the Moorgate crash in 1975. The driver of the 6.55pm Epping train, Mr Besley, ran into the back of a Hainaught bound train and was hurt but survived. He was later charged with having ignored the 'stop and proceed' rules by a Public Enquiry. He passed a signal at Red, and because the tunnel curves round, he did not see the other train which was standing still until it was too late. 12 people were killed in the accident, although the British Pathe News clip shown below states that 8 adults and one child were killed. This was not the first fatal accident on this stretch of line. On 5 December, 1946, a signal failure on the Central line near Stratford meant that trains running on that section of line had to follow the "stop and proceed" rules, allowing them to continue very slowly past a red light after having waited for a minute. On this occasion, there was one fatality with 3 people injured. It seems strange that lessons learned from the 1946 were not learned, and remedial action taken that could have avoided the 1953 accident. 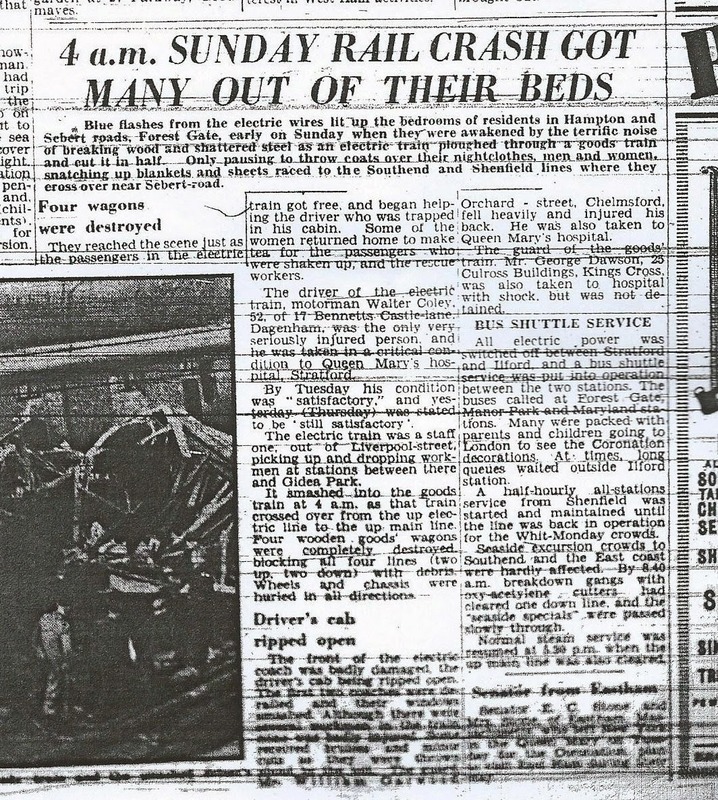 Less than two months after the April 1953 Stratford crash, the 1953 Forest Gate rail collision occurred - on 24 May. Though less serious than the Stratford accident, this more-local-to-us event, provoked some press attention and a Ministry of Transport Enquiry, which we consider, below. 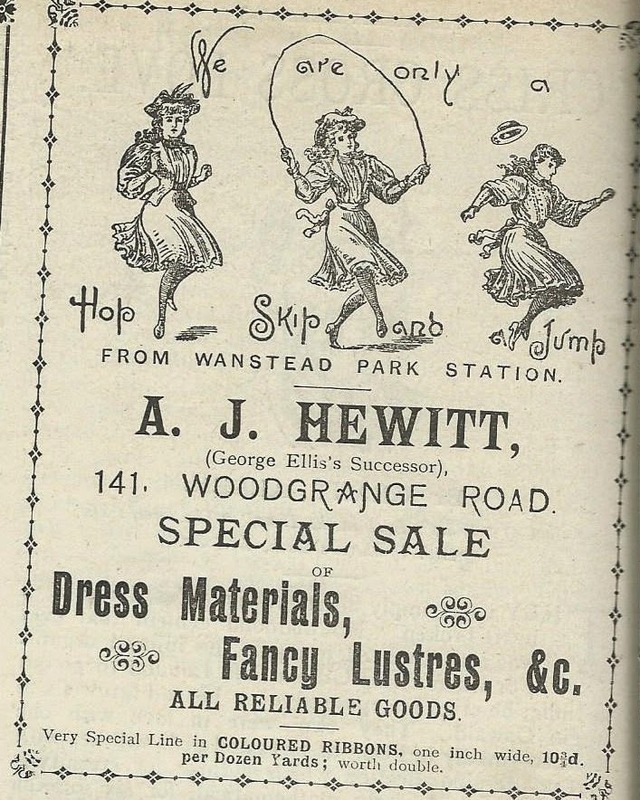 "Blue flashes from the electric wires lit up the bedrooms of Hampton and Sebert Roads, Forest Gate early on Sunday, when they were awakened by the terrific noise of breaking wood and shattered steel as an electric train ploughed through a goods train and cut it in half. 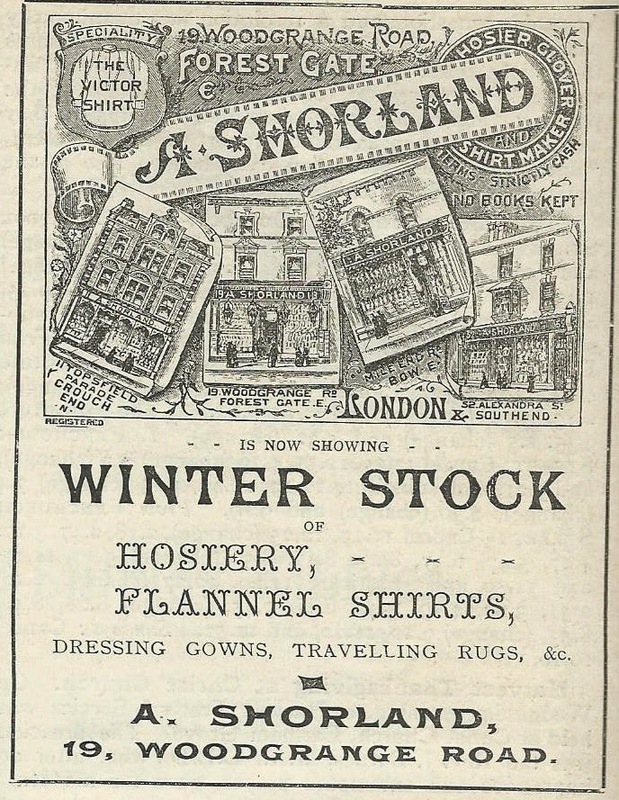 Only pausing to throw coats over their night clothes, men and women snatching up blankets and sheets raced to the Southend and Shenfield lines where they cross over near Sebert Road. They reached the scene just as the passengers in the electrified train got free and began helping the driver who was trapped in the cabin. 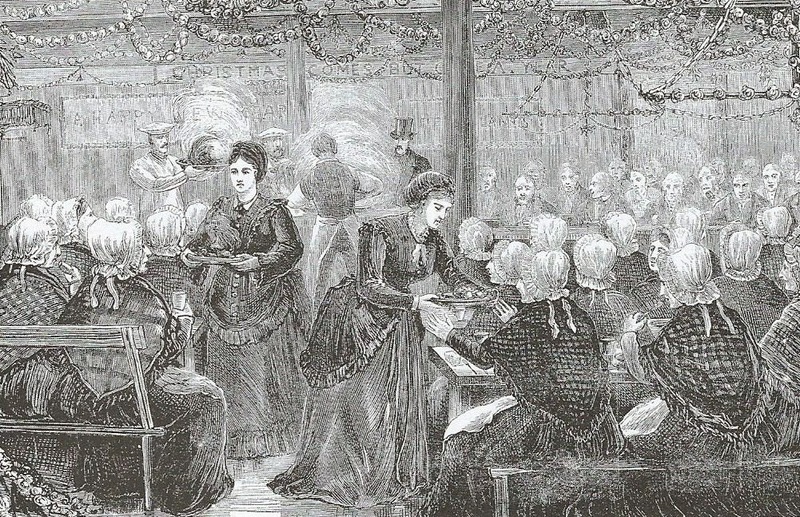 Some of the women returned home to make tea for the passengers who were shaken up, and the rescue workers. The driver of the electric train, motorman Walter Coley, 52, of 17 Bennetts Castle Lane, Dagenham was the only very seriously injured person and he was taken in a critical condition to Queen Mary's hospital, Stratford. 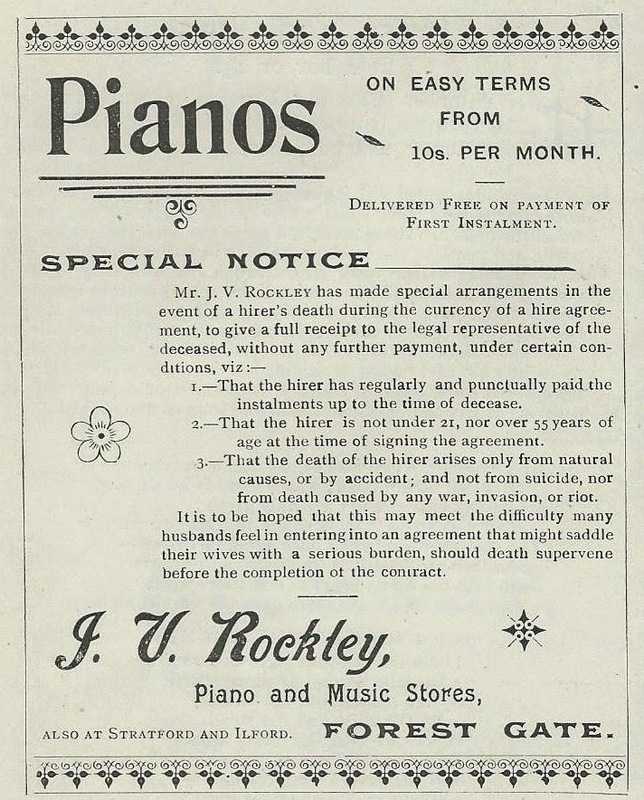 By Tuesday, his condition was "satisfactory" and yesterday (Thursday) was stated to be "still satisfactory". 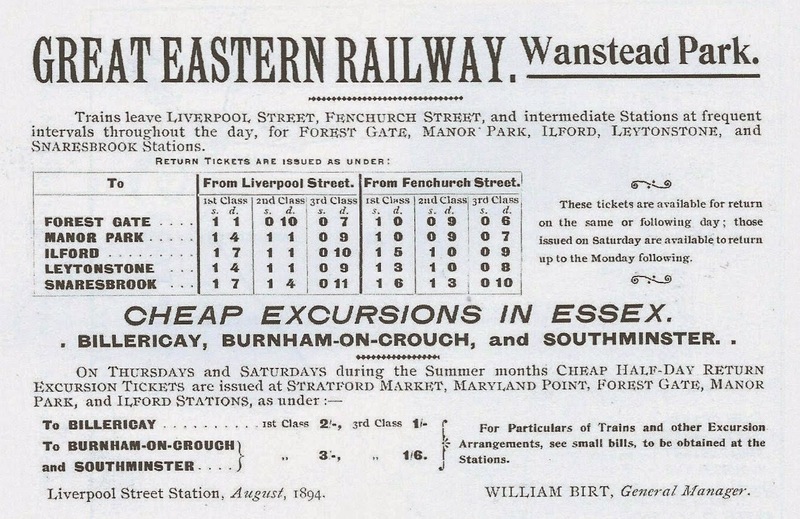 The electric train was a staff one, out of Liverpool Street, picking up and dropping off workmen between there and Gidea Park. It smashed into the goods train at 4 a.m. as that train crossed over from the up electric line to the up main line. 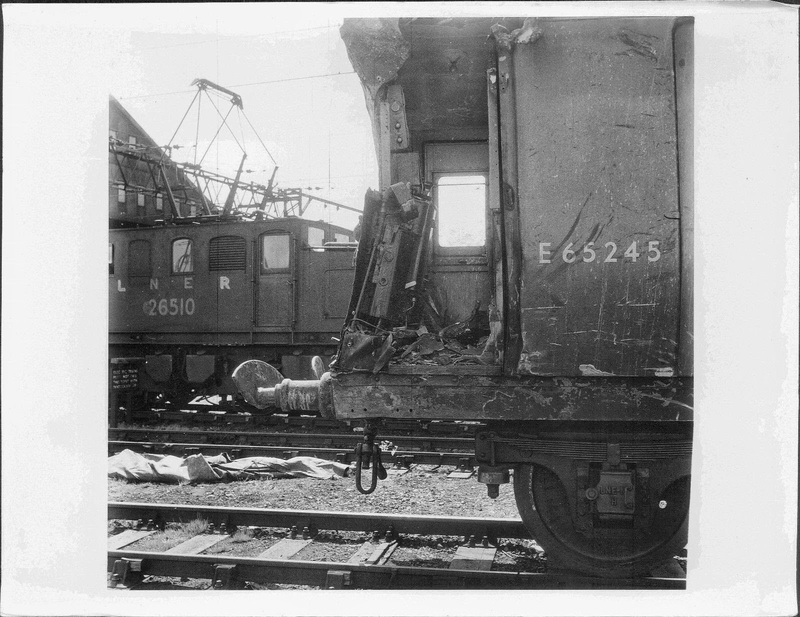 Four wooden goods' wagons were completely destroyed, blocking all four lines (two up, two down), with debris. Wheels and chassis were buried in all directions. The front of the electric coach was badly ripped open. The first two coaches were derailed and their windows smashed. Although there were several workmen on the train, none were badly injured. 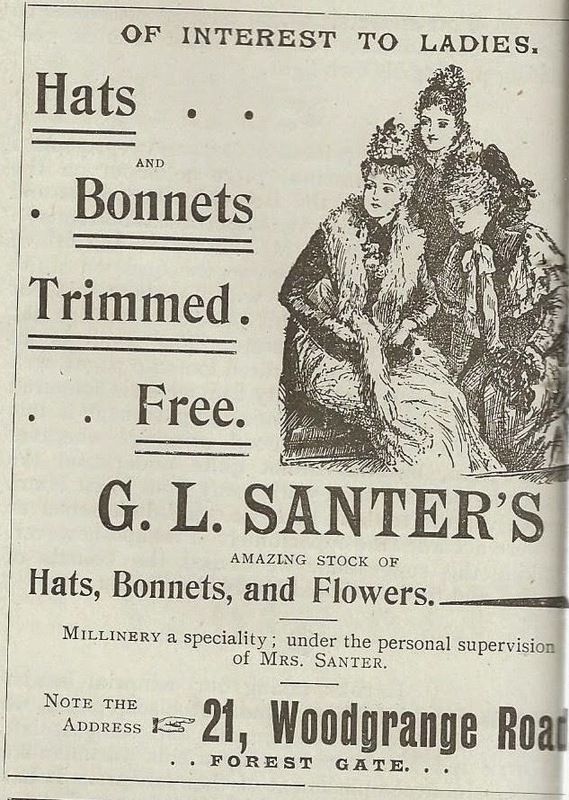 Some received bruises and minor cuts as they were thrown about by the jolt. 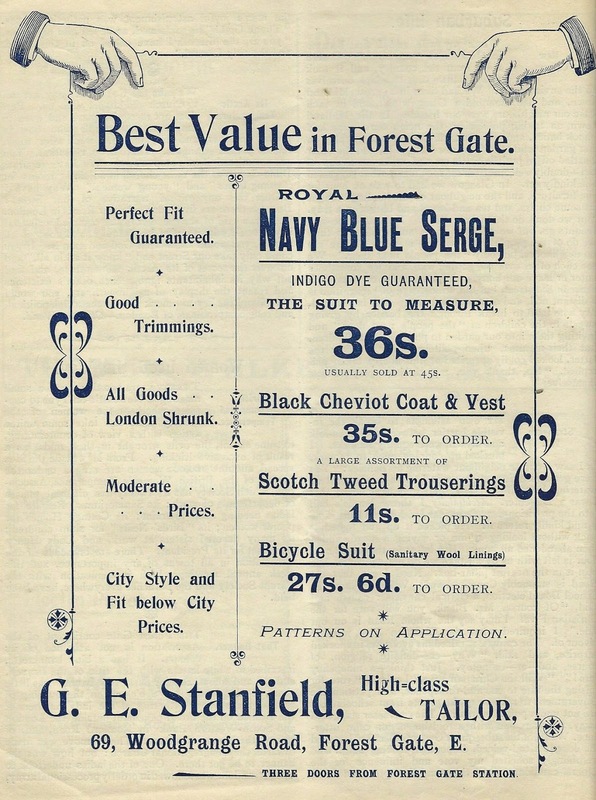 Mr William Garwood of Orchard Street, Chelmsford fell heavily and injured his back. 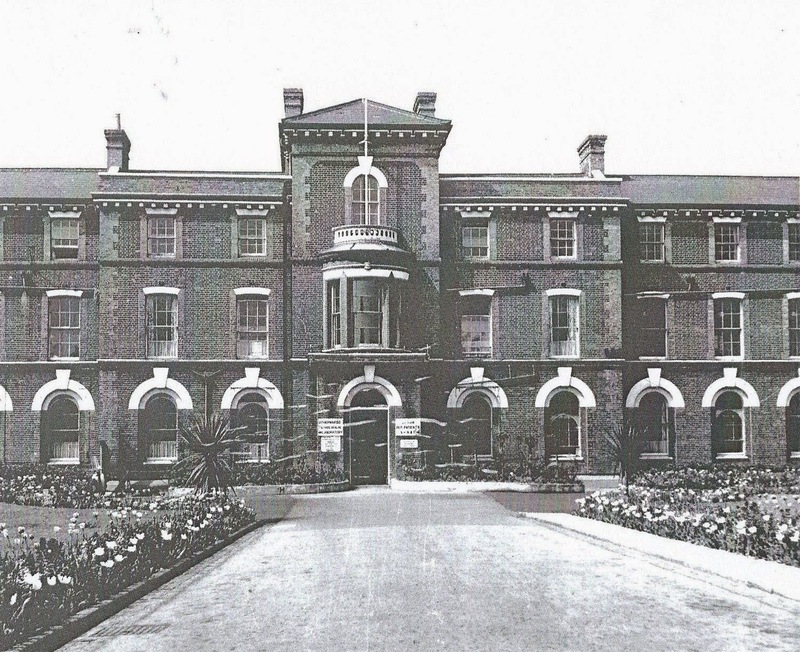 He was also taken to Queen Mary's hospital. All electric power was shut off between Stratford and Ilford and a bus shuttle service was put into operation between the two stations. 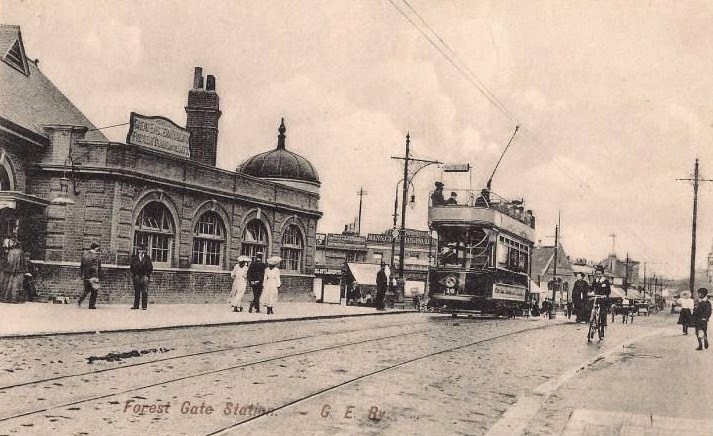 The buses called at Forest Gate, Manor Park and Maryland stations. Many were packed with parents and children going to London to see the Coronation decorations. At times, long queues waited outside Ilford station. A half-hourly all-stations service from Shenfield started and maintained until the line was back in operation for the Whit-Monday crowds. 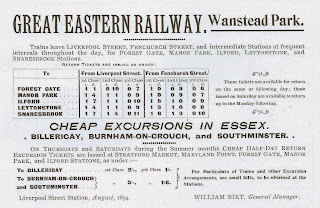 Seaside excursions to Southend and the East Coast were barely affected. By 8.40 a.m. breakdown gangs with oxy-acetylene cutters had cleared one down line and the "seaside specials" were passed slowly through. 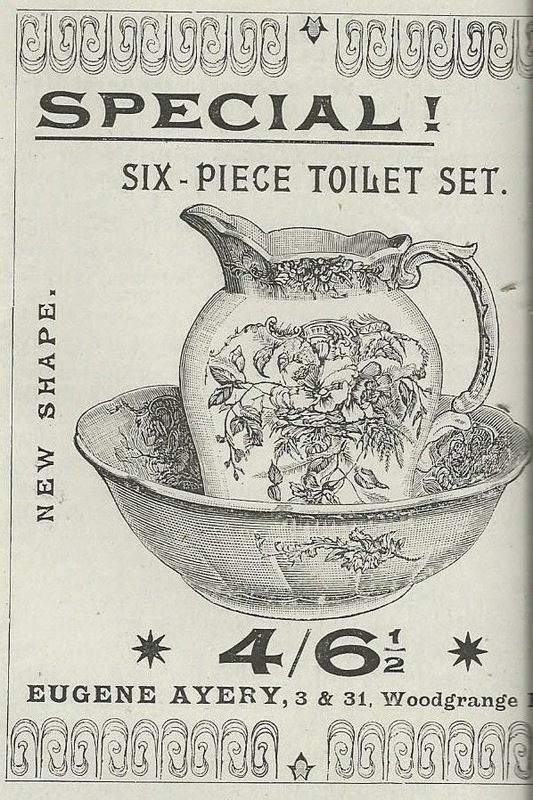 Normal steam service was resumed at 5.30 p.m. when the main line was also cleared." 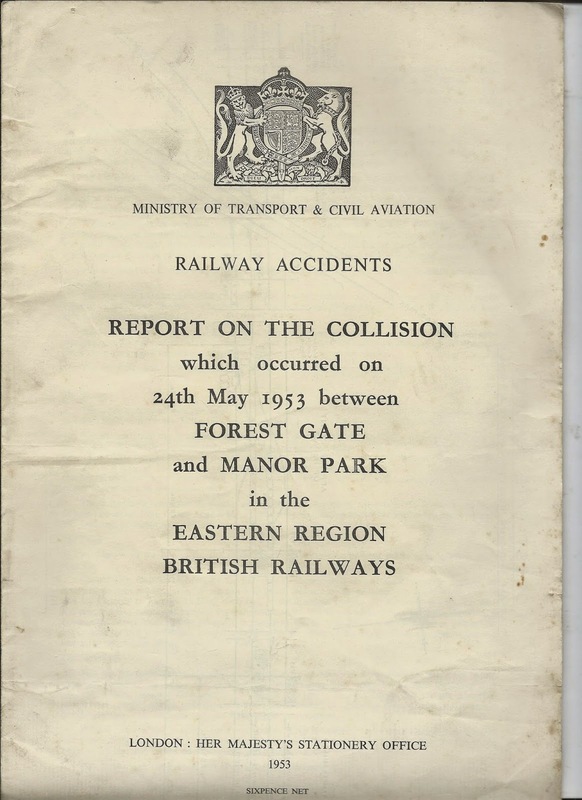 The Ministry of Transport launched an enquiry five days after the collision, as is normal in the event of rail accidents, on the still nationalised British Railways network. 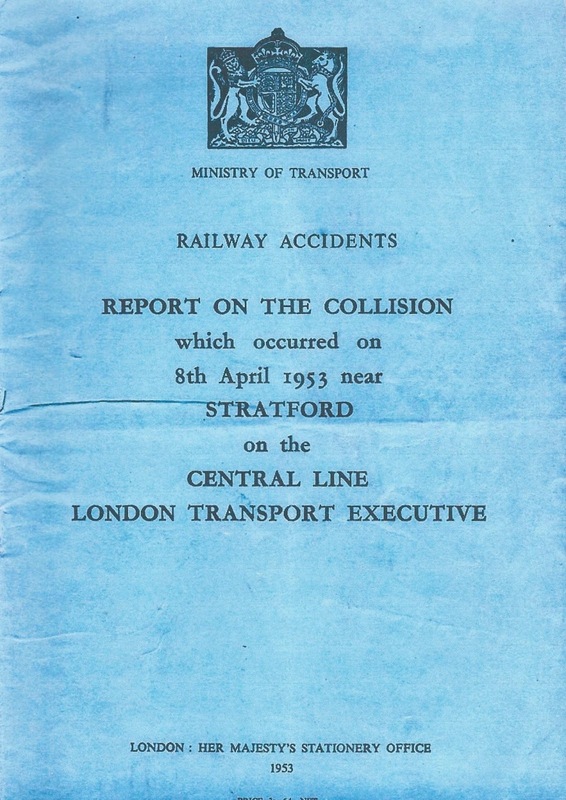 The report (see cover, below) was published on 8 October 1953. 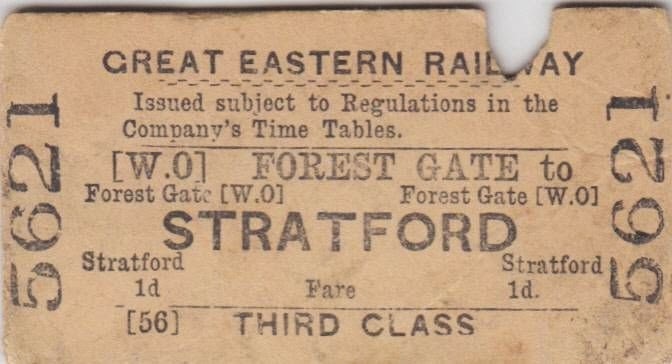 The accident took place at 3.58 on the electrified four-track Liverpool Street - Shenfield line, between Forest Gate and Manor Park stations. 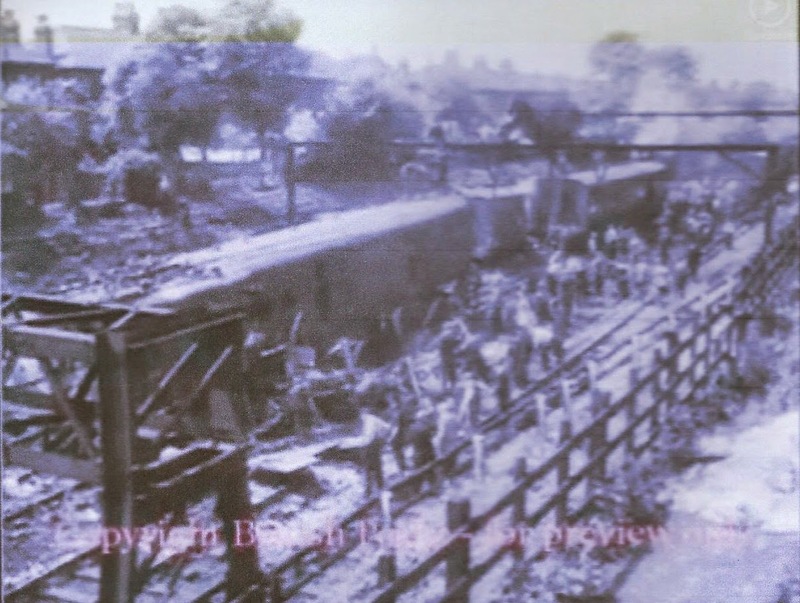 An "Up" freight train was travelling slowly over the junction, when an electric passenger train travelling at about 35 mph passed at danger the colour light signal protecting the crossover and struck the freight train. Two coaches of the passenger train and 13 of the freight train were damaged. The motorman of the electric train escaped with superficial head wounds, shock and severe bruising, the guard (of the electric train) sustained a fractured rib and wrist, and the guard of the freight train was severely shaken. In spite of his injuries, the guard of the electric train continued to protect the train and "attended to passengers in a praiseworthy manner." Fire and ambulance services were called, and attended promptly. All four lines were blocked. The "Down" line was opened for traffic at 8.40 am on the same morning, but the opening of the other three lines was delayed until the following morning by the comparatively slow working of the cranes. The night was fine, clear and still and dawn was just breaking. The rails were dry. I can only conclude that Motorman Coley was not alert and had ceased to pay attention to signals for the few critical moments ... and that he suddenly came to consciousness a momentary before the collision in time to cut off power and apply the brake. Motorman Coley was still shaken from the accident when he gave his evidence, but I formed the impression that he was frank and truthful. The vagueness of his account of what happened immediately before the collision may well have indicated the lack of his alertness at the time. He is 52 years of age and has a good record during his service of 35 years..... I can find no excuse for his lapse.